Plastic name badges with a 9mm name tape recess. It can be supplied in a range of fixings and can be printed in up to 4 spot colours. 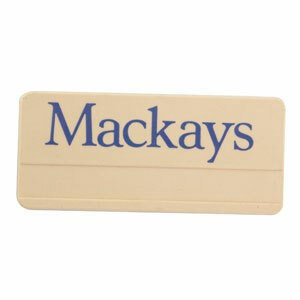 Name badges can also be supplied custom shaped to your own design with name recess, these badges can be relief moulded and foil printed or pad/screen printed in up to 4 colours.